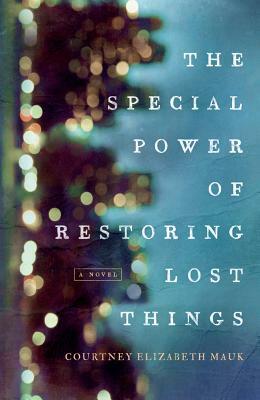 Set against a layered Manhattan landscape, The Special Power of Restoring Lost Things explores a fractured family through the alternating perspectives of the mother, father, and brother of a young woman during the aftermath of her disappearance. A year of silent but collective anguish culminates in the fateful thirty hours after a body with a striking resemblance to hers is found, and we see her buttoned-up Upper West Side family spiral in different, dangerous directions: Her mother, Carol, nearly comatose by day, comes alive at night in a vigilante-like attempt to track down her daughter's killer. Her brother, Ben, once the good kid, adopts her bad habits along with her former friends who may have been complicit in her death. And after failing to keep his family from splitting apart, her seemingly stoic father, Drew, finally allows himself to crack. In her third novel, Courtney Elizabeth Mauk presents a nuanced character study and offers a jolting and unforgettable portrait of a family's struggle to survive.